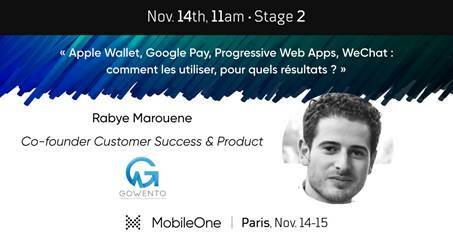 The Splio + Gowento team will be joining the European Mobile Community at the MobileOne Event on the 14th & 15th of November to share the use cases and great outcomes of the brands that already chose the Mobile-First path, and more specifically the Mobile Wallets'. Apple Wallet, Google Pay, Progressive Web Apps, WeChat, how can marketers today use the Wallets to retain their customers and what benefits can they get out of it ? Stand 203 Hall 2, November 14th & 15th : meet the whole team on the booth ! For a demo or a meeting with the team, feel free to contact us !